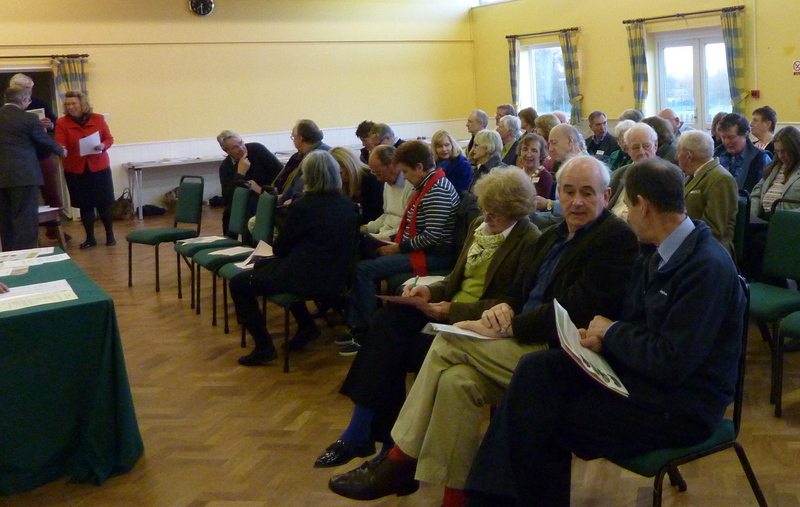 Following successful designation as a Neighbourhood Planning Area by Guildford Borough Council Effingham residents turned out in force this week to hear details about the new initiative. Especially pleasing was the wide representation from across the Planning Area. 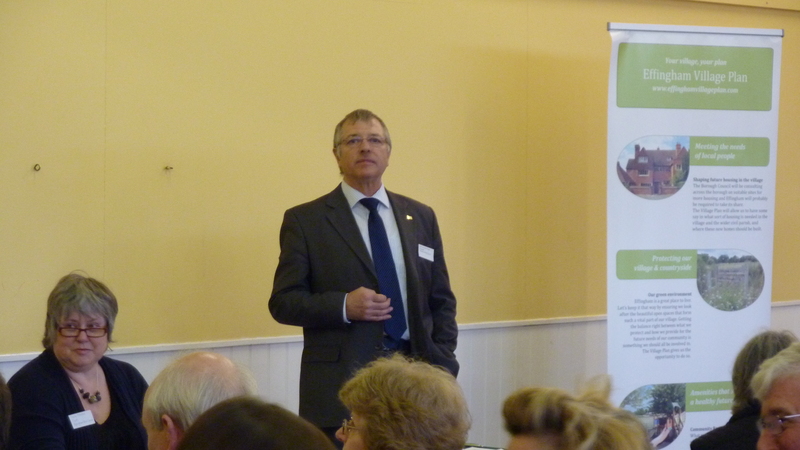 Arnold Pindar, Chairman of Effingham Parish Council kicked off the meeting to a packed hall of residents drawn from across the local areas who were all anxious to learn more about Neighbourhood Planning and the opportunities available to residents under the new Localism legislation. Borough Councillor Liz Hogger was on hand to give residents a much appreciated update on the progress of the Local Plan and highlighted the potential for Effingham’s Village Plan to integrate effectively into the wider plan for the borough. Effingham Parish Council have applied to Guildford Borough Council to be formally designated as a Neighbourhood Planning Area. Once this application is agreed the Parish Council will lead an extensive programme of public engagement to understand the views, needs and aspirations of Effingham residents. As well as considering land-use and planning policies within the civil parish of Effingham, the project will deliver a comprehensive Effingham Village Plan to guide the efforts of the Parish Council and other voluntary village groups and organisations in providing the services and facilities Effingham residents want. This website is intended to act as a focal point for information and updates on creation of the Effingham Village Plan so please take advantage of the facility to sign up for email updates so you can get involved and add your thoughts and ideas on the project.